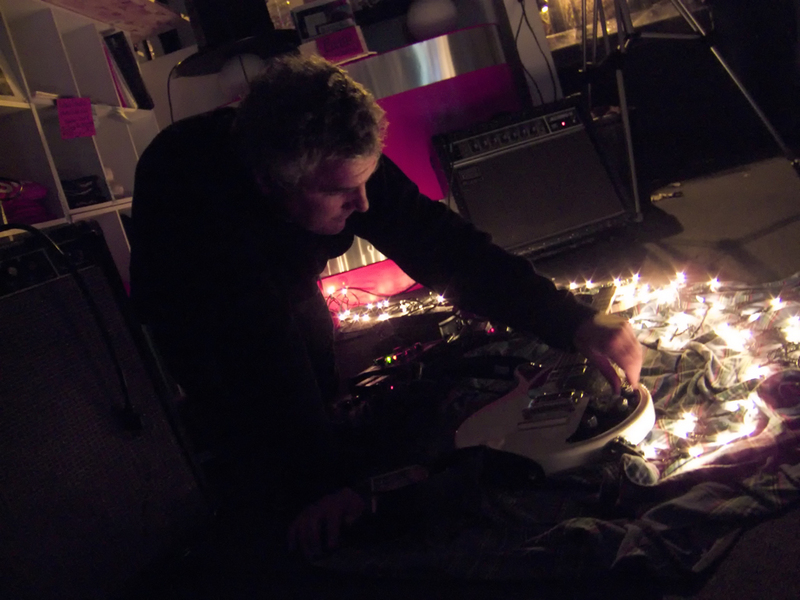 Here are some excerpts from ASACs recent River of Drone marathon. I grabbed snippets at random from the recordings I made and appended them into a single, condensed track. These excerpts were from noon to 3pm and 8pm to 11pm in case you’re keeping score. Also, Mark Lunt has posted some captivating photos from the event here. 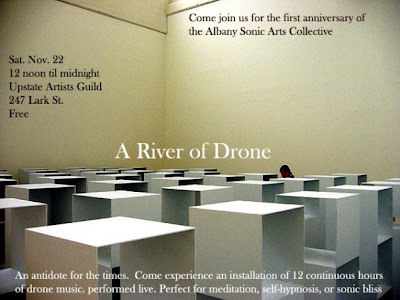 The Albany Sonic Arts Collective celebrates their one-year anniversary with a 12-hour continuous live drone performance on Saturday Nov. 22 12pm-12am! Performers will include: Eric Hardiman, Ray Hare, Holland Hopson, Jason Cosco, Mike Bullock, and Linda Aubry Bullock. Video projections/installations will also be presented. Looking at the white expanse of our refrigerator covered in magnets and memos and shopping lists…it came to me: Why not make appliance surfaces that work with dry erase markers?